On January 06, 2012 the Chicago Cubs completed a trade with the San Diego Padres. In exchange for starting pitcher Andrew Cashner, the Cubs received first baseman Anthony Rizzo. At the time, not much was thought of the trade. Rizzo had familiarity with the Cubs new front office due to his time playing for teams that Theo Epstein and Jed Hoyer had presided over. But he was also coming off an ugly major-league debut in 2011, hitting .141/.281/.242 in 153 plate appearances. It wasn’t the biggest of moves, and while Rizzo was still the 75th-ranked prospect on BP’s top 101, giving up a hard-throwing young starter like Cashner raised some eyebrows. It’s a good thing that Epstein and Hoyer saw in Rizzo what no one else was able to see. They didn’t see a failed prospect about ready to start bouncing from team-to-team. Rather, they saw the face of the Cubs organization. In Rizzo, they were banking on a player who would be among the league’s best, both on and off the field. The Cubs new front office executives wanted a player to give Cubs fans hope in the rough years to come. Cubs fans got that and so much more when Anthony Rizzo was finally called up to the big-league club in June of 2012. I’m not entirely convinced that anyone expected to get the version of Rizzo who has made first base on the North Side his home. He managed to exceed even the lofty expectations of Epstein and Hoyer, and every year he builds on those expectations. He has become the bedrock upon which the Cubs rest. Rizzo isn’t as well regarded as a Kris Bryant, nor does he possess the raw talent of a Javier Báez. While becoming the face of the franchise, in some ways Rizzo has also become lost in the crowd when it comes to players who are thought to be the driving force behind the Cubs’ success. It’s hard to imagine someone who has finished in the top-20 in National League Most Valuable Player voting the past five years in a row being lost in the crowd, but that’s how it has gone for the Cubs first baseman. He’s sneaky great, and that means he often falls between the cracks. Being sneaky great is going to be the story of the Fort Lauderdale native’s entire career. Sad as it is to admit, there will come a day when Anthony Rizzo no longer occupies first base for the Chicago Cubs. I don’t think that day is coming anytime soon, but it is coming nonetheless. Removing my writing hat for a brief moment, it’s not a day that I ever want to witness. Rizzo has easily surpassed Andre Dawson as my favorite to ever don Cubbie blue. I’m a fan of the guy, there’s no way I can deny that. I also know what he is capable of, and that’s why I am often hyper-critical of his performance on the field. Okay, my writing hat is firmly back in place—though it is a Cubs hat. Anyway, the reason I think it’s so important to recognize that Rizzo will have a sneaky great career is because of three words: Hall of Fame. The Cubs haven’t had a player go into the Hall wearing a Cubs hat since Ron Santo in 2012. I don’t think they will have another player do the same until the day comes that Anthony Rizzo is inducted. Rizzo being a Hall of Famer is not something talked about often. 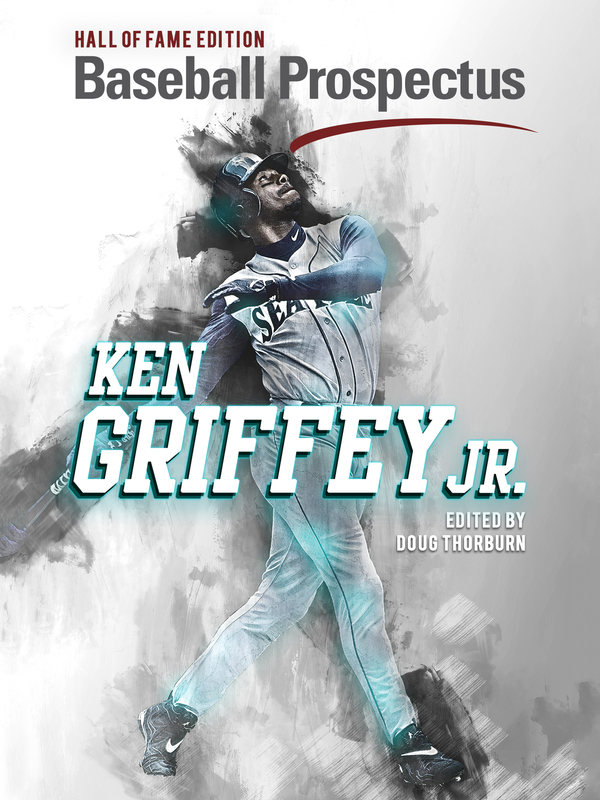 The reasons for that are those outlined above, culminating in his “sneaky greatness.” Were he a player shattering records and redefining greatness like Mike Trout or Clayton Kershaw, his path to the Hall would be a no-brainer. But the left-handed slugger isn’t a no-brainer candidate, and his career will need to remain on its current trajectory for him to see Cooperstown. It can and should happen though, and when looking at his present numbers there’s ample evidence as to why he should be Hall-bound. WAR is a great indicator of someone’s odds of making the Hall of Fame. 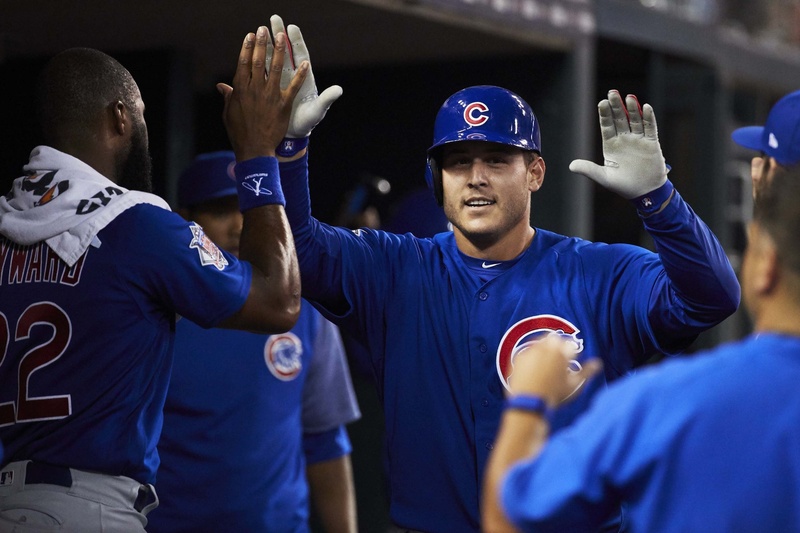 Across the three widely used WAR platforms, Rizzo has accumulated a career 28.8 bWAR, 28.4 WARP, and 25.3 fWAR. Presently Rizzo already has more WAR, in any platform, than a couple of first basemen in the Hall. If Rizzo continues his current production for another five years he’s looking at a career WAR somewhere in the 55 to 65 range. That would place him in the Hall of Fame first baseman grouping of Hank Greenberg, Johnny Mize, Jake Beckley, Bill Terry, and George Sisler. WAR doesn’t tell the whole story though; it’s merely a good introduction to the claim Rizzo is building for a future Hall selection. In the traditional stats that most people seem to care about, Rizzo performs well, if not outstandingly. Rizzo presently sits on a slash line of .279/.369/.484. He also has hit 191 home runs and has 635 RBI. There’s no reason to think that these numbers won’t either stay consistent in the case of the slash line or grow when it comes to the Home Runs and RBI. I don’t truly think that his RBI total should matter, but most voters will. His slash line would be right up there with other Hall of Fame first baseman. He should finish his career with around 400 homers. That’s not the golden 500 mark, but it is more than only a handful of first basemen currently in Cooperstown. Rizzo is the sort of player whose eventual Hall of Fame candidacy will see the light of day because of a combination of old school and new school metrics. His traditional numbers will be impressive, and they will be aided by newer statistics that tell the story of a complete player. His career DRC+ is currently at 131, his wRC+ is 131, and his wOBA is .366. Rizzo is a complete hitter, someone who walks a lot and strikes out very little. He’s a slightly lesser Joey Votto, and there is nothing wrong with being the slightly lesser version of a player who should find himself Hall-bound as well (and possibly on his first ballot). The former Stoneman-Douglas standout also excels in the field. His career FRAA is 52.3, and somehow his numbers in that category keep getting better year after year. 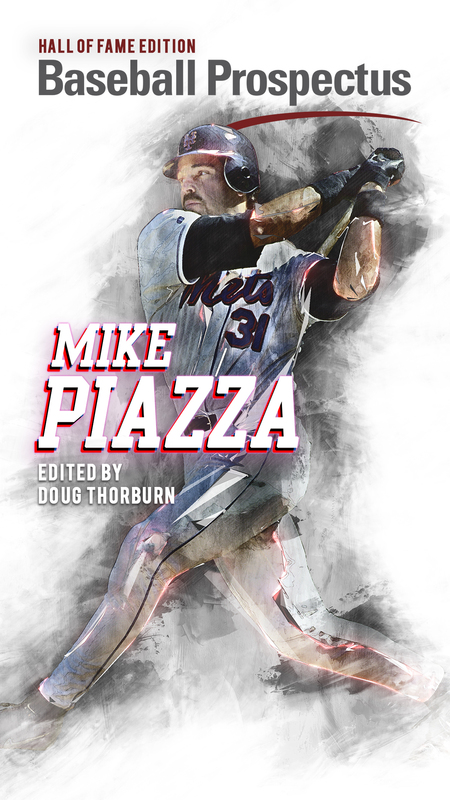 He is widely considered one of the best defenders in the game, and not just at first base. This is where some of the intangibles start to come into play. Some of the things that make Rizzo so great can’t truly be quantified. For instance, the way he plays bunts. There’s no real statistic to quantify how that affects hitters. We know it does though, and even if it’s only anecdotal evidence, we’ve seen how far in Rizzo plays on bunts and we’ve seen good bunters struggle to get bunts down because of his positioning. A Hall of Fame career isn’t made on bunt positioning, but it is enhanced on little things like how one positions themselves for a bunt. A lot of newer baseball writers, myself included, fall in love with statistics and lose sight of the small things. Those small things still matter, and it matters that Rizzo is putting up Hall-worthy statistics while producing in the unquantifiable categories as well. There’s no statistic for being a team leader or the effect that has on the team game after game. That’s what Rizzo is though, and his ability to lead clearly has an effect on his teammates. I may not be able to wedge his leadership into a statistic, but he sure as heck is going to get credit for said leadership when I’m considering the whole of his career accomplishments. Another area that seems to really matter to Hall voters is a player’s awards. The players themselves have no control over a lot of these awards, but when push comes to shove the voters give lots of credence to how many awards and accolades a player can lay claim to. In addition to the aforementioned MVP finishes, Rizzo has won two Gold Gloves at first base, a Platinum Glove and Wilson Defender of the Year as the best defender in all of baseball, one Silver Slugger as the best hitter at his position. He has appeared in 3 All-Star games. He will win more awards, and they will add to his case. He also won a World Series with the Cubs, and he may win more. Winning matters more than anything when it comes to voters. The Hall of Fame shouldn’t really be about winning, but that’s not how the voters see it. Rizzo has been a part of taking the Cubs from last place finishers to perennial winners. So far under his leadership, they have made the playoffs four years in a row, won an NL Wild Card Game and 2 NL Central Division titles, made the National League Championship Series three consecutive years, won an NL Pennant, and ended a 108-year World Series drought. Rizzo has helped to make the Cubs into winners, and that will matter to voters. Off-the-field accomplishments are harder to gauge, they matter to some voters a lot and other voters not so much. For those voters who do care about off-the-field actions, Rizzo will garner much acclaim. That acclaim is warranted as his philanthropy in the Cubs community and cancer patients, in particular, is outstanding. He has created his own foundation for cancer research, donated plenty of his own money to causes related directly to cancer, and helped to build an entire wing of a hospital for cancer patients. Look, I don’t need to tell you that from all accounts Rizzo is a great guy. The voters who care about and factor character into their vote are going to have no complaints when Rizzo’s name appears on the ballot. I fully understand that a lot of things could happen to derail Rizzo’s Hall of Fame case. He could regress and never reach the projected numbers I talked about. He could suffer a freak injury and have his career end well before it should. Maybe the Cubs will slide back into losing more than winning. Rizzo could stay the path and put up numbers that end up just a shade below Hall of Fame caliber. All of this and more could happen; such is baseball. I don’t think they will happen, though, and with each passing year I believe more firmly that in watching Anthony Rizzo play baseball we are watching a future Hall of Famer in action. Cooperstown is where Anthony Rizzo is headed, and when all is said and done, it is where he will belong.